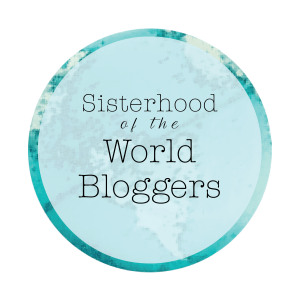 I’ve been nominated by the wonderful Corinne of Reflections Enroute for a Sisterhood of the World Bloggers Award. I’m always chuffed to be chosen for this sort of blogging recognition but not least when it comes from one of my favourite travel bloggers. One of the best things about blogging, I think you’ll find any blogger will say, is the friendships you make online and I’ve loved getting to know Corinne over the last couple of years. There’s a “small world” anecdote here; Corinne lives in a small town in Bavaria which no one’s ever really heard of except that as a teenager I used to go there for R&R breaks from Prague where I was living! Prague was very much behind the Iron Curtain at the time and when we needed to get out to indulge in a little Western decadence and particularly retail therapy it was to this little town we went, 35 years ago! A fun little coincidence in this big wide world. So back to the Sisterhood, here’s how it works: the nominator asks 10 questions and then you ask 10 questions to 10 bloggers of your choice. It’s a great way to learn more about other bloggers in a virtual world when we can’t actually all physically meet and chat over a coffee. Here are Corinne’s questions to me and my answers. 1. Did you do any traveling with your family when you were a child? If so, what trip made the biggest impression on you? Yes! I started travelling when I was a few days old! I was born in Paris and moved to Brussels before I was 3 weeks old. And so began a lifetime of travel. At age 4 I travelled to Mumbai by ship from Venice stopping off in the Canaries, Lagos, Capetown, Durban and Mombasa (this was a means of travel not a cruise!) and by the time I left home at age 18 I’d lived in 6 countries and visited many more. When I lived in India we’d drive to Kashmir in the Himalayas and into the desert in Rajasthan regularly for holidays. I have wonderful memories of Kashmir in particular and feel so lucky to have spent time there before it became the political hotspot it is now. My life as an eternal expat is full of some pretty fine memories, it’s so hard to isolate the biggest impression…. 2. 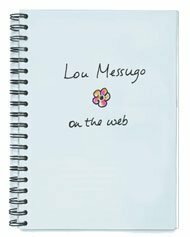 What was your first blog post? What is one of your favorite blog posts. Why is it a favorite? My 1st post was A prickly start, unsurprisingly about getting started! One of my favourites is about nostalgia, losing my blogging mojo, post travel blues and recovery: Getting back into the swing of things – very much part of my life as a (blogging) expat. I like it because I wrote from the heart and something just clicked that day. 3. What’s the first thing you do when you get to a new destination? Or what is one thing you make sure you do in each destination? I always like to wander around the neighbourhood and have a drink in a bar/café to absorb the atmosphere and get my bearings, especially if I’m staying far from the typical “tourist” spots. I also love shopping in local supermarkets/markets to get a feel for what’s important to that particular place. 4. Is there a particular place that stands out in your experiences as exceptionally special or especially challenging? Hanoi will always stand out as exceptionally special as it’s where I met JF and Mongolia in the 1990s was challenging in the most authentic of ways. I’ll never forget my travels there. 5. Is food important to you when you travel? What is your favorite experience regarding food? 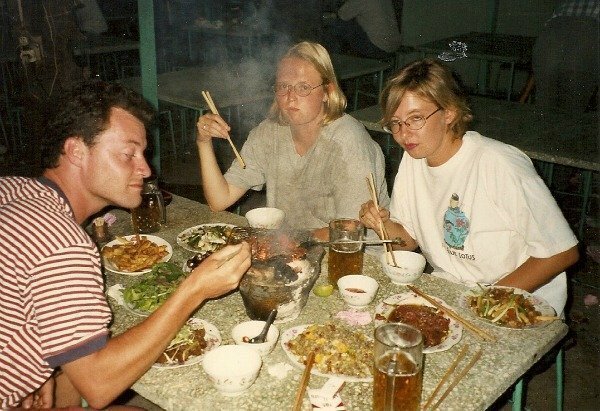 What is the weirdest food you’ve tried? Food is very important to me. I always research some local specialities before I go somewhere new and try my best to eat/drink them, but I don’t just focus on specialities. I like to eat at local places, street food, workers’ cafés etc to get a grip with what ordinary people eat in their ordinary lives in a particular place. JF and I also always love to try as many local beers as possible! Favourite foodie experiences? The phenomenal food on our honeymoon in India springs to mind and more recently a homemade feast prepared by the woman in whose house we were staying in rural Montenegro. A very surprising and serendipitous experience that came out of a last minute decision to cancel a booking and stay with her. As for weirdest food, there are so many I don’t know where to begin. Maggots, silk worms, dog, squirrel, snake and whole sparrows (beak & feathers included) in Vietnam. But there’s also the jellyfish tentacles I mistook for noodles in Iceland (with the Chinese Ambassador! ), rotten shark also in Iceland, fermented mare’s milk curd and salty tea with fermented mare’s milk in Mongolia… I think I better stop there! looking very odd eating you-don’t-want-to-know-what in Hanio! 6. 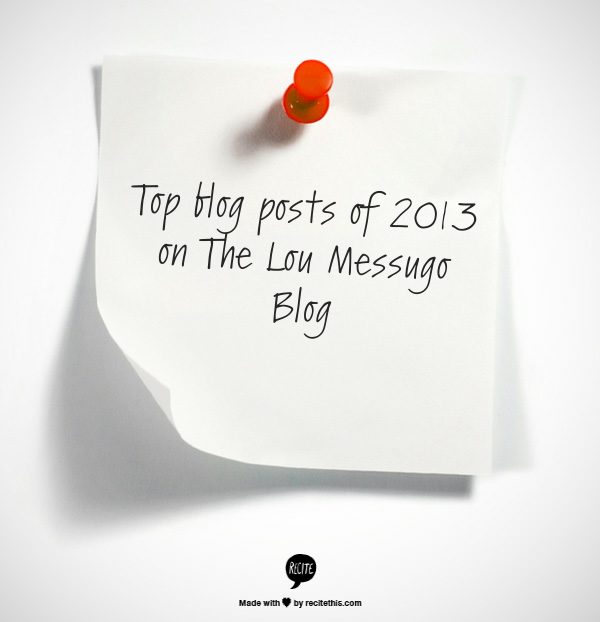 What has been the most effective tool that you have used to grow the readership of your blog? What’s your biggest challenge or frustration as a travel blogger, either travel or blogging related? What is one frustration you experience when reading travel blogs? One of the most effective ways I’ve grown my readership has been to run a link up (AllAboutFrance). Participating in blogging support groups through Facebook has also been very useful. The biggest challenge is probably finding the time to get my posts spread to a wide audience. The social media sharing that’s necessary to get any post read is frustratingly time consuming. It’s challenging knowing just when to switch off too! Can I have 2 frustrations when reading travel blogs? Firstly, by reading so many travel blogs the list of places I want to visit just gets longer and longer, I never seem to tick any off the list! And secondly it really frustrates me when I see factual errors; where bloggers who have visited somewhere for a split second become a great authority on a certain destination and simply get things wrong! 7. What do you find challenging about blogging? Does it change the way you travel? With so many squillions of blogs out there in the blogosphere it can be a challenge to come up with a new and original take on a place. But that’s a challenge I love to rise to. Blogging has impacted on the way I travel as I now take even more photos than I used to (if that’s possible) and I’m constantly thinking how something could be a blog post, what angle to take, etc. We’ve always been very active as a family, heading out every weekend to explore somewhere locally if we can’t go further afield but I guess now that I blog, we get out and about even more. All good things as far as I’m concerned. 8. What are three characteristics that define you as a traveller? 9. What are some of your favorite travel blogs? Why? What makes a great travel blog in your opinion? Well apart from Reflections Enroute of course, I really enjoy Yomadic for his love of the Balkans and ambition to put Iran on the travel map. I’ve followed Escape Artistes for years, Theodora has been on the road for ever and has some hysterical stories to tell. There are plenty more I read regularly, too many to list. What makes a great travel blog for me is first and foremost good writing! After that I like it when the blog visits unusual places or finds a different angle to take on a popular place, I like funny personal anecdotes, telling it like is with warts and all, not just glossy perfection. Good photos are a plus. 10. What are the top three destinations or experiences on ‘your wish list’? And what’s next for you? I’ve never set foot in South America, not even an airport transit lounge, it’s the huge gaping gap in my global travel map! I’d love to explore Peru, Bolivia, Argentina and Brazil for starters…. I’m also finding myself more and more drawn to tiny South Pacific nations, though in reality I may never get to them before they start to go under water. And while on the subject of almost-definitely-out-of-reach places I’d love to take a National Geographic expedition to Antarctica as inspired by Traveling Solemates (a lovely blog by the way). On a more realistic level I’d like to get to Norway and the Baltic States sometime soon as I certainly haven’t seen enough of northern Europe and Jordan is calling out my name. As for what’s next, this question is hard to answer as for the first time in ages I haven’t got a lot planned! Visits to family in UK for Christmas and a trip to Naples with my son early next year (rescheduled from October when he got sick and we couldn’t go) are the only actual things booked in. With great friends moving to San Francisco early next year, others about half way through their posting to Beijing and yet more friends recently arrived in South Africa, I’d like to think we’ll get to visit at least some of them in situ in the next couple of years, but who knows…. I really need to get planning a trip somewhere soon! Thanks again to Corinne for the nomination, I now look forward to reading the answers of my nominees, should they accept the challenge. Haha! We looked odd because we were eating…….dog! I didn’t know who Nerissa was till I looked at your blog! I’ve never known her name!!!!! She’s one of those very anonymous bloggers. Thanks Corinne, hopefully 2016 will bring us together! Phoebe! I love, love, love your answers. You and I have definitely got to get together in real time in person sometime! We have so much to share. I love your travel history, it’s so….just wow! It has been great getting to know you as the blogging years go by! Happy blogging. Thanks Melodie, I’m glad you enjoyed reading this. Congratulations on your nomination, Phoebe! 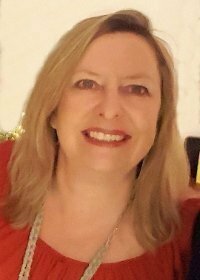 😀 Enjoyed reading about your very first travels and adventures with maggots and the like. And thanks for sharing your heart on the challenges of blogging. Agree ~ blogging does keep you out there exploring, always learning something new . . . a VERY good thing! And I am honoured to be “looking very odd” in Hanoi tucking into delicious food! You’ve eaten some of your pets!!!! I never thought of our little farm as impressive but thank you – it is much appreciated! I’ll have a good think about my answers and hope to get them down as a post soon …. but I could never come anywhere near weirdness compared to some of the things you have eaten! Why thank you mere male!! Thanks Catherine, you’re a loyal reader and I really appreciate it. But what you’re doing on your little farm now is so impressive, we each have our own passions. I hope you take on the challenge Rosie as I’d like to read your answers. All questions put to me were travel and travel blogging focused; I nominated some writers who aren’t specifically travel writers like you so I tried not to let travel dominate. Your level of travelling amazes me. I was brought up on a farm so we really didn’t travel and I was 14 before I first left the UK and even now I have never been out of Europe. I have however managed to become an expat although I didn’t go very far LOL. We’ll how fascinating. 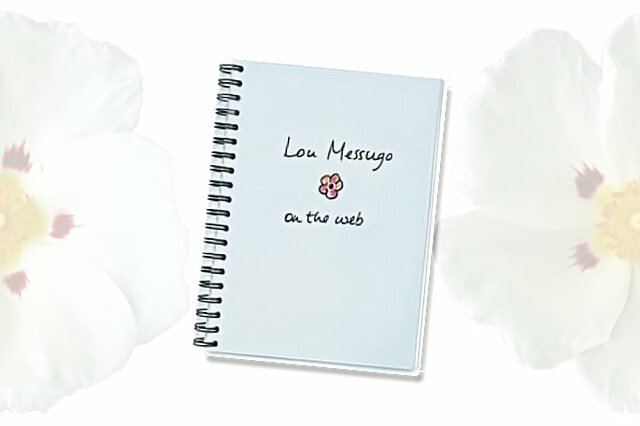 I don’t blog but I love reading lou messugo blogs. As a mere bloke I’d like to claim the honour of being the first to comment on this sisterly blog, by congratulating the sorority on their efforts and wishing them Happy Blogging.